For many, the title of this article may seem funny, and some may even think it is dumb. Pretty much thinking that I am stating the obvious, “Deer get big in corn country because of CORN!” Well, as obvious as it might seem, that is not entirely the reason deer get big. In fact, when we talk about antler size, it is a very minor component of why bucks grow bigger antlers. The key to creating a big deer in this area isn’t necessarily the corn, but the source of the corn – the soil. But before you decide to go and disc under all the corn plots you planted for this year, there is a reason corn is planted for whitetail. First off, they love it. As crazy as it may seem, there are certain plant species that whitetail do not like, or at least not for most of the year. A great example is planting brassicas in the Deep South. Brassicas are very bitter when they first come up, and it usually isn’t until a hard freeze or two hits them, which helps convert the bitter starches into sugars, that deer will consume them. Well, in the mild climates of the Deep South, they may not get hard freezes until after the season, if at all, which decreases the attractiveness of the plant when you need it most – the hunting season. But more related to growing big deer, corn is high in carbohydrates. These help build fat storage and energy supplies. So the better condition their fat reserves are going into the winter, regardless of geographic location as it’s always a food-stress period, the faster they can repair their bodies and start growing antlers in the spring. A deer will not divert a lot of resources to its antlers in the spring until its physical body condition has rebounded to a certain status. But to say it affects antlers otherwise is just not true. With only six- to eight- percent protein (the “building block” of antlers), corn can barely support daily bodily activities for an adult deer, which does not provide antler growth. So corn does play a factor, but not much. So how come every year some of the biggest whitetail are harvested in these corn-dominated areas of the country? Dirt, soil, ground, whatever you want to call it, this is where the antler potential is for the area. It takes pretty good soil to grow a decent corn crop and extraordinary soil for commercial farmers to generate a profitable yield. 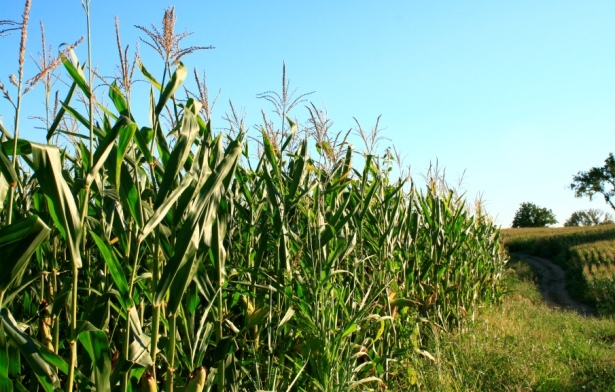 The areas dominated by corn have some amazing soils high in organic matter, nutrients, and even biological organisms which help promote nutrient uptake through the root system. So what makes deer bigger in this area? Well for starters, there are many other crops planted in these great soils, including soybeans and alfalfa. Contrary to corn, both of these are high in crude protein (greater than 20 percent), and alfalfa produces a great food source nearly all year long. These protein-rich deer foods help build muscle and inches of antler. But even these aren’t the true reason for bigger deer in the area. You may be surprised, but I am NOT about to say genetics. Though a factor, the genetic composition throughout much of the whitetail range is not that different. There is pretty much the potential to produce a giant buck from Georgia to Alberta. And with age and nutrition usually masking the full genetic potential, we often won’t ever see this having a major effect on the deer we hunt. So what is left? How about natural food sources? No, it’s not acorns, but the natural woody browse and annual vegetation. Like the crops, the rich soils enhance the quality of the natural vegetation. So much so, that some briars have shown crude protein levels that exceed soybeans and alfalfa. 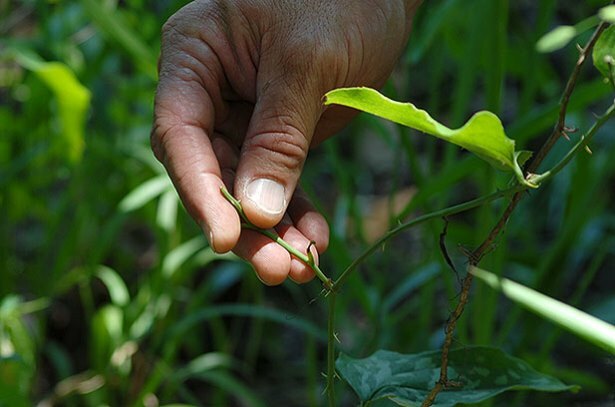 Though you may not think so, nearly year-round, the majority of a deer’s diet comes from natural occurring foods with the balance in crops, food plots, and supplemental feed. This is why managing the natural habitat is so critical. As the natural vegetation matures both within the season and over several seasons, the nutritional quality fades. Using prescribed fire, chainsaws, and even mowing sets back the plant’s succession and starts highly nutritious growth again. So the next time you drive through corn country, take a look at the food that’s in the woods next to the field. That’s likely the dinner plate that will produce the giant running around during the hunting season. For more information on managing native habitat, check out Jeremy in Cabela’s weekly web shows at www.cabelas.com/deernation.